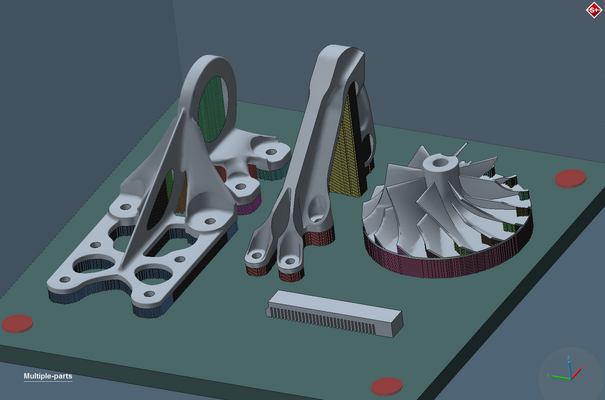 Simufact has announced the release of the third generation of its software solution for the simulation of metal-based additive manufacturing processes, Simufact Additive 3. It will now provide a thermo-mechanical method, which allows users to have a clearer overview of the effects of thermal energy by providing insights for the global temperature of the component. Users can then use this data to determine both deformation and the influence of the base plate. Simufact Additive 3 offers a Linux solver in addition to the Windows Solver. Thereby, the software is now available for simulations on Linux computers for instance on high performance Linux clusters. Simufact Additive 3 focuses on analyzing the layered calculation of the build process with the new thermo-mechanical simulation method. Users can now receive global statements about the heat behavior in the component, such as thermal peak loads, in order to recognize overheated areas at an early stage. The thermo-mechanical method takes into account much more physical parameters and boundary conditions than the Inherent-Strain method that include thermally relevant variables, such as laser power, laser speed, and pre-set temperatures. By using the thermo-mechanical calculation method, users do not need to perform a calibration beforehand. 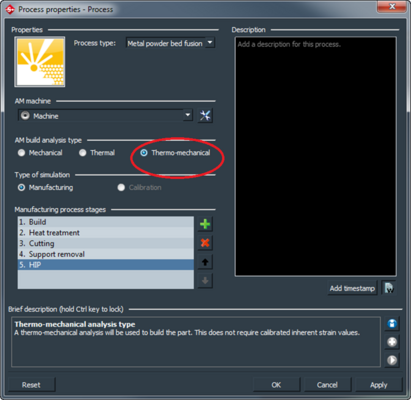 Through the implementation of the thermo-mechanical calculation method, users can take into account the essential parameters of the printer in the software during model building. During the production of additive components, not only does the work piece undergo distortions and stresses; the base plate also influences the printing process and subsequent steps. Distortions and stresses can occur in the base plate during the actual printing process, which can then have an effect on the supporting structures and component. In Simufact Additive 3, engineers can examine these and other influences of the base plate on the component. The frequent use of the base plate can lead to additional problems because it is a wearing part. After each production, a layer of material is removed, which makes it ever thinner. In the run-up to the next printing projects, the user can assess the distortion of the base plate and determine when an exchange of the base plate is required. With Simufact Additive 3, the printing process of several geometries can be modeled easily and quickly in the build space. The simulation of the thermal construction process can then reveal possible influences of the components among one another. Users can also compare simulation results and reference models (e.g., CAD data) by using "best-fit" positioning. In the best-fit method, the software automatically determines the position at which the deviations are lowest. The visual presentation of the results, allows the user to quickly assess whether the deviations are within the permissible tolerances. For this function, Simufact has integrated Hexagon's 3DReshaper technology.